I’ve been sketching ideas and notes about campaign beginnings, in particular for Changeling and Legend of the Five Rings since I’m at the fun part of campaign crafting for those two. They share interesting standard campaign approaches: Coming of Age and Youth Recognized. In the samurai game L5R, Coming of Age usually means the players have taken their gempukku and are now being assigned to first service. A classic take on this I’ve used a couple of times has the characters arriving at a tournament. Rewards often entail a role or position. This is a new world as the characters, despite school training, are heading out into a less insular realm. 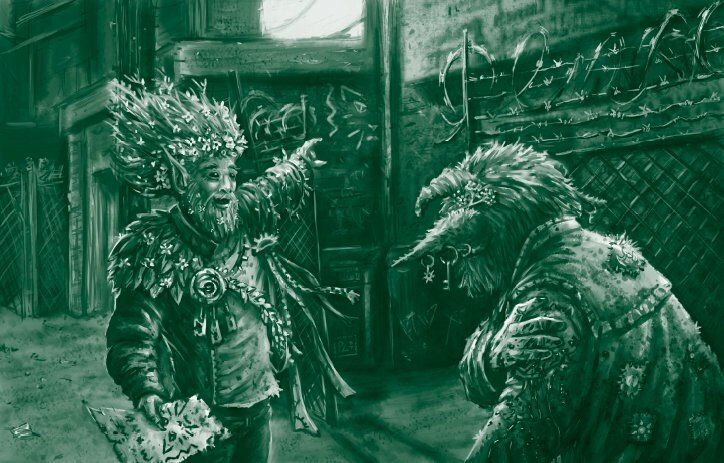 In Changeling games this shows up as a group emerging from the Hedge into a new world, the real world. They also have to acclimate and learn. A slightly different take on has the novice characters caught up in a situation, gaining recognition, and being gathered into a group. In L5R they might save a daimyo’s life. In Changeling they might stop the machinations of a Keeper. Both are great starters for the players as they create a parallel between the player’s inexperience of the setting (or even just this GM’s iteration of the setting) and their character’s youth and naiveté. There’s another parallel between the two games, as both invite political or Courtly play. The Seasonal Courts and the Daimyos’ Halls offer similar challenges and rewards. They’re also an experience made richer through knowledge or familiarity with the setting. That’s partially why I chose to riff from John Wick’s Blood & Honor rules for my L5R campaign. 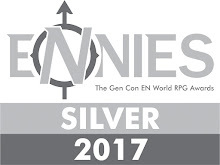 Most of the players had played L5R before. As you can see from this post, I have the players building a new family and court- crafting the setting collaboratively. So I thought- can you do the same thing for Changeling the Lost? Allows the players collaboration and input early on. They enter the campaign with confidence in their knowledge. Gets around players who instinctively reject established power groups in their setting. Below I sketch a draft of how you’d go about this. A full version would spell out all of the options and choices. This kind of set up could obviously be transferred over to other WoD or like games with “Courts” of some kind. You can also fruitfully marry this to a city-creation step afterwards. Using the Microscope-variant process I describe here or drawing more directly from The Dresden Files. This game form takes a different approach in that the group makes up and plays one of the Seasonal Courts for a Freehold. In reading various Chronicle narratives it looks like most games have a motley operating outside the Courts or with members in different ones. The PCs in this game will instead be ranked and important members of a single Court. This means slightly more experienced characters (I’d say Seasoned, pun intended) with their respective mantles at two or three to start. Depending on your group this may be an easier or harder step. Consider that they’ll have the chance to shape the Court. They may have fought against the Summer Court in a previous campaign, now they have the opportunity to come up with a new spin on their enemy. I’m also focusing just on the Seasonal Courts, but I imagine the approach could be extended to some of the other structures. The players should decide where the game will take place, at least they should pick the kind of city (large, small…Midwest, East Coast) they want to play in. City creation can come later (if the GM wants to use that process). But having some sense of the scale can help in picturing many of the other steps. Capricious: The Princess has a tendency to change her mind on a dime- issuing orders and then contradicting them later. She can take up and lay down grudges and favorites at a moment’s notice. This means risky actions can be disavowed and Courtiers must use other means to ensure they have solid ground. On the positive side, the Princess’ distractible attentions means that Court members can gain access to resources more easily. PCs can buy wealth or tokens more cheaply. Using a particular holding (see below) has a lower difficulty. Cunning: The prince has a reputation for being clever and careful in his dealings. His plots and plans span years. He wields pledges and vows like a sharp weapon. As a result, members of his Court gain a bonus to pledge-crafting. However, characters outside their court will be more wary about making pledges with them, requiring more effort to convince them. Each Court has a set of traits usually associated with it. For example, we might define the values of the Summer Court as Directness, Rebuilding, Warfare, Wrath, Dedication, Physicality, and Competition. Different GMs may read those differently- a full write up of this approach would establish a set of 6-8 of these values for each court. The group should then choose one of those Values as key to their version of the Court. Two others should be chosen as the next most important. Finally one should be selected as the least important. This offers many different versions of the same Court. A Summer Court focused on Warfare looks very different from one focused on Dedication. A Court which values Directness least is in contrast to one which values Competition least. Alternately, a GM may simply want the group to prioritize the seven Virtues in the same way. Each Court has established connections and resources within the Freehold. Some of these represent places they have control over and some groups they have an “in” with. These can also relate to people with special knowledge or access. The how and why of these can be developed later (left behind by a vanished Motley, gained through a favor done). Depending on the kind of campaign, the GM may wish to have some of these holdings ranked- with the ability to develop those in play later (a Rank One Club run by the Court is a dive bar, while a Rank Three is a real club with music and space to hang out). Some of these holdings ought to be one chance- if you don’t take them they’re off the table and you don’t know which other Court has them (Criminal Contacts, Tamed Fetches, Turncoat). Depending on the number of players (and the size of the Holdings list) players should each pick one or two. Storytellers may allow players to take a pick as an additional rank in a holding if that option is used. Cash Reserves: The Court has access to wealth without having to draw down from an affiliated business or invoke talents. This allows them flexibility in purchases and gives members of the Court a reasonable safety net. This could be an inheritance, left-over proceeds from a heist, or cleverly managed investments. Secret Shortcuts: The Court has extensive knowledge of quick routes and passages within the Freehold. These may be physical and magical (a particular alley, the sewers, a sorcerous mirror). This can be used to gain a bonus to escape pursuit or can cut down travel times across the city. The players should come up with a phrase to describe each of the other Courts. Then, in reverse, they should come up with a phrase the other Courts use to describe them. Each PC will choose an office they hold within the Court. These represent expertise and resources the Court has. Some of the offices will be generic across the Seasons, but some will be specific to the Court itself. These roles present cool story possibilities and hooks for the player. Having someone hold a position also offers an abstract benefit to the Court. On the flip side, not having someone in that role presents a problem or a weakness. 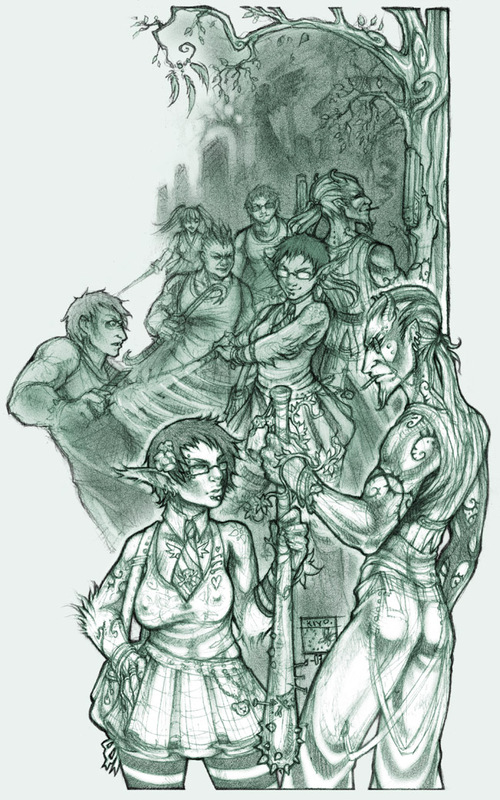 Hobminder: An uneasy relationship exists between the Goblins and the Changelings. 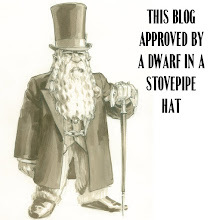 Depending on the strength of the Courts, the Hobs may exert authority over some aspects of life in the Freehold. The Hobminder interacts and negotiates with Goblinkind on behalf of the Court. They intercede with problems arising from the Goblin Markets and other interactions. If Absent? Relations between the Hobs and the Court may be strained or even shatter. Members may be subject to Goblin tricks or assaults and characters will be at a bargaining disadvantage in the Markets. Gardener: The hedge represents both a threat and a resource for the Courts. The gardener has dual roles. First, they keep as much lore as they can about the hedge: roads which remain relatively stable, locations within the hedge, the best entrances to sites. Second, they know and manage the locations for hedge fruit and other resources. If Absent? The Court has limited or individual only access to Hedge Fruit and other items. They’re at a disadvantage when dealing with survival in the Hedge and are unaware of some of the mysteries of the thorns. Archer of the Lonely March: The Scout for the Court. Knows all of the boltholes and hiding places. May also know the safe routes to other cities. If Absent? The Court has reduced access to safe havens and back up Hollows. They don’t have a good sense or map of the region of the Freehold. DJ Otzal: Master of Radio Free Fae. They have a certain degree of social status, but also serve as an important outlet for gossip and communicating quickly. If Absent? Other Courts have mastery of this device then, allowing them to control the flow of information and use gossip more effectively as a weapon. Attempts by the Court to master public sentiment can be blunted by the Court which controls the station. Lord of the Inhospitable Chamber: The master of prisons, literal and figurative. They have access to locations to keep prisoners secure and safe. They also have tools to help them shun a target instead of physical imprisonment. If Absent? The Court lacks a solid minder to oversee holding dangerous persons. They may have a location (see Holdings above) but will lack an expert to manage it. This makes such places vulnerable. Questioning subjects will result in false or incomplete information, often elicited through torture. Changelings who have not properly steeled themselves may suffer clarity losses. Sun Banisher: Destroyer of evidence. They clean up after things go wrong. They wipe out details forensic and otherwise. If Absent? Another Court may have someone serving in this role, but badly. The Winter Court will be forced to call on them for these services. Alternately, no one may have these talents- meaning that the Freehold as a whole is vulnerable to discovery. The Court has a spotless reputation as a mediator between Changelings. There’s a tree in a park owned by the Court. The ghosts of newly dead travel to there in order to pass out of the Freehold. The Hobs of the area are split into a dozen tribes with distinct names and markings. This kind of game could be played out in a number of ways. If I were running it, I would do a city-creation session. That would allow the players to build directly from the information here. You could run this simply as a conventional game from here- with the players using their positions to back conventional Changeling chronicles. If nothing else, roles taken invite cool stories as the players have to balance those duties with other obligations. On the other hand, you could run this as a more political or dominion-style game. I know there some additional information on that in the Damnation City book. That could probably be adapted. You could do a seasonal chronicle (ala Blood & Honor and other games; see here for the Seasonal Actions from my L5R campaign). You could also use this set up to generate a more dramatic game (ala DramaSystem). The set up does have the drawback of being more unfriendly to players coming into the setting for the first time. 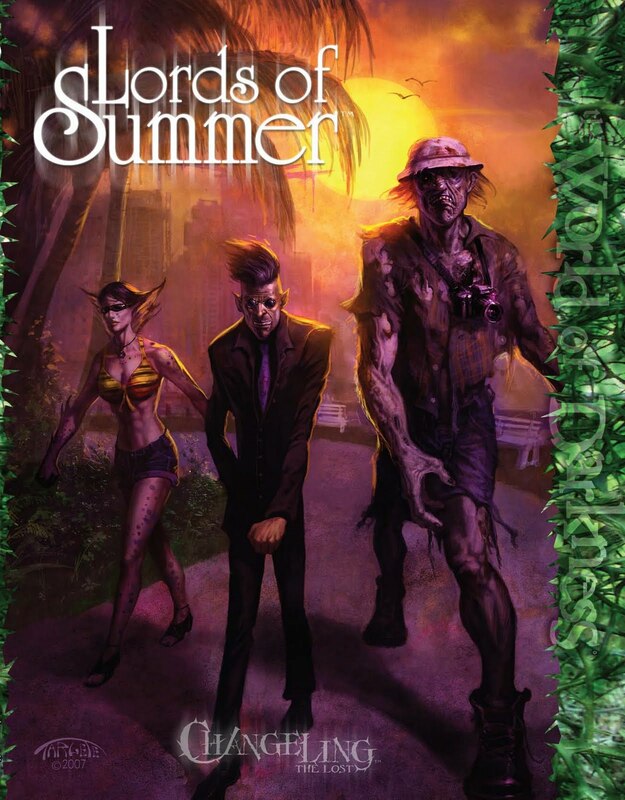 I don’t think that’s an impossible hurdle, but it will require the players to probably do a closer reading of the Core book (and likely the Lords of Summer supplement). Ooh, another framework for player collaboration in setting building. I like it, although it seems geared for a more political style of game than I generally run so I personally wouldn't use this particular one. And I think built for a later game, after the players have done the standard Changeling campaign once or twice. It definitely moves the play to a style that the GM needs to make sure the players would be cool with. Re-reading it, I really love your custom offices and the holdings idea is pretty neat as well. Thinking on it, even if they didn't end up movers and shakers it could make for a pretty interesting set up for a game simply because it takes some of the world building off my shoulders. I like titles in the game and their use seems like another great way to convey information about the Courts: do they use more archaic forms? Do they have new offices? What's missing from their line up? 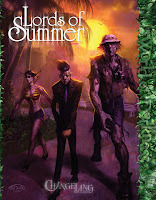 For example in the Changeling Lost Vegas campaign, when they met the militant and somewhat resentful Summer Court, they stressed their offices and titles. The motley hasn't yet met the Spring Court, but when they do I plan for their titles to reflect a focus on modernity, wealth, and corporatism. Titles are also a great double-edged reward. They offer a feeling of satisfaction to the players while at the same time tying them more closely to an agenda or organization.